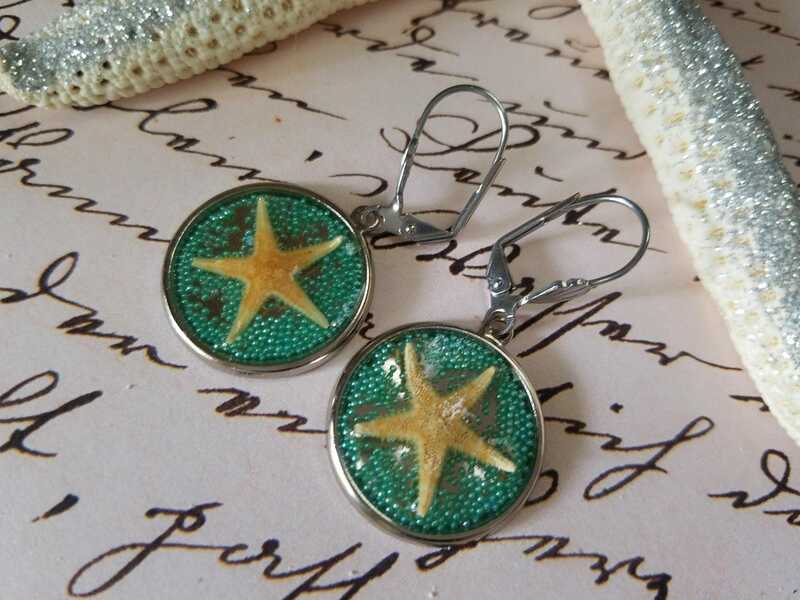 Like a tidepool full of starfish, these earrings were created with that image in mind. The natural starfish are embedded with tiny aqua beads permanently sealed in resin in a round bezel. The bezel is silver filled. The earwires are stainless steel hypo allergenic and have a tiny scallop on the front. I hope you will love these are much as I do. They are very light weight. Great gift idea.